Hi, I’m Kate. I’m a mum to five beautiful and amazing kids -Jonah, Maisy, Aidan, Juliet and little Eve! I love life in all its glory. I strive to embrace every day and acknowledge all the blessings around me. I love the wonder of birth! The complete miracle it is to grow a tiny human inside your own body and bring that person to life, to grow and thrive and dream. I have the utmost respect for midwives, the people who take on the huge responsibility it is to care for a birthing mother, and of course for the mother herself, who must face all her fears and anxieties with a great purpose. I believe one of the most powerful and empowering experiences a woman can have, is that of giving birth…aren’t we lucky! Regardless of how the baby is brought into the world, it is a moment that requires courage, bravery and a strength that a mother must pull from deep down inside her. It’s often a strength she didn’t previously know she was capable of, and leaves her feeling astounded at her own abilities as a woman. The overwhelming sense of achievement that comes with carrying a baby for nine months, nurturing it physically and emotionally, enduring an array of physical discomforts and emotional turmoil, before finally bringing it into the world, coupled with the sheer joy and love of meeting this little person that has been awaited for so long, is a moment for which I as a mum, have never found words. 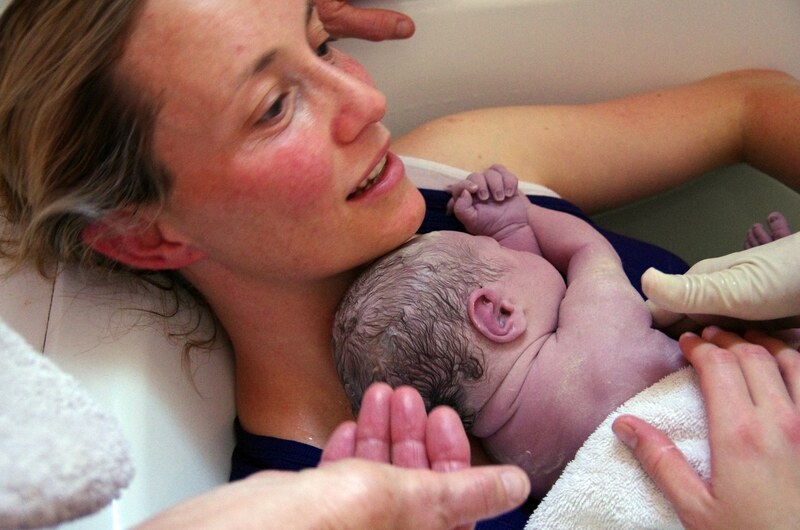 P.S This is me immediately after giving birth to my last baby, in our bathtub at home.